How many time slots can I add to the Schedule? What time zone is my schedule in? Why do I get an error when I try to add another time slot? How do Instagram time slots work? You can add up to 1,000 time slots to your schedule. Each time slot can be connected to one account, all of your accounts, or any combination in between. You can see what time zone your account is set to in both the Queue and the Schedule. 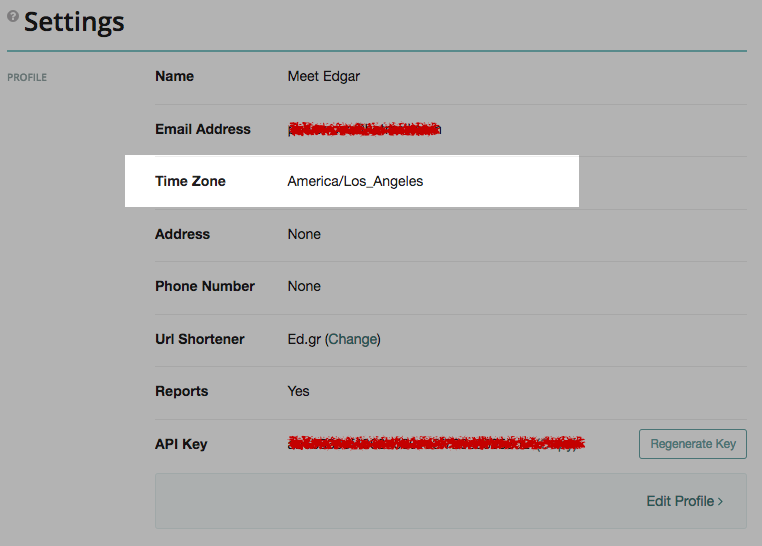 To change your time zone, edit your profile information on the Settings page. You may have reached Edgar's time slot limit. A maximum of 1,000 time slots can be added to Edgar's schedule. If you believe you’re receiving this message in error, please reach out to the customer experience team by clicking on the message bubble at the bottom right of any page. You can add time slots for your Instagram account just like you do for any other social account on your schedule. However, Instagram time slots do not post automatically at this time. Instead, when it's time for an Instagram time slot to publish, you'll receive a push notification on your iOS mobile device to remind you to post. Edgar will have your post ready to go and will help you publish it to Instagram at the right time. Learn more about publishing post to Instagram.